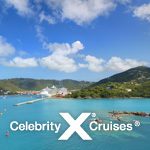 EXPEDIA CSC - Caribbean, Mexico, Hawaii for Special Prices & Benefits - Sept. 16-30 | 11 Night Transatlantic Cruise From Miami to Barcelona from $499 !!! 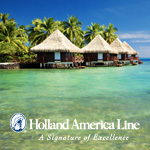 Hurry, this sale ends September 30th – call us today to book your sun soaked vacation! 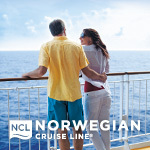 We’ve partnered with our preferred cruise lines to bring you Expedia Exclusive Staterooms and Expedia Extras to the best destinations under the sun! Escape to the pristine beaches of the Caribbean, the tropical islands of Hawaii, or the crystal clear waters of the South Pacific including this 7 night Eastern Caribbean sailing from just $629 USD aboard Royal Caribbean International. 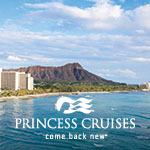 Save on your next vacation package! 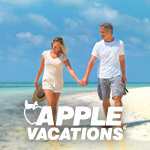 Book your next Apple Vacations getaway and save! Experience the Apple Advantage and enjoy great service and low prices! SAVE ON A LAND VACATION! Note: *Terms & conditions apply, please visit our website or contact your Vacation Consultant for details.